What's a Flight Officer? : Happy Birthday, George! Perhaps because I attend Washington College, or that I am a history dork, I feel it appropriate to honor America's first President today on his 276th Birthday. We remember the wisdom that he possessed, guiding this great nation through it's formative years. Of all the Founding Fathers, He is the only one everyone trusted. Twice, he was put in positions of authority, and twice did he accept. The first was when he was made Commander in Chief during the Revolution; the other as Presiding Officer of the Constitutional Convention. But it was his refusal of office that made him great. At the end of the war, the Army wanted to coup and make Washington the new King of America. He refused, and resigned his commission. It was he who limited himself to two-terms as President, although he could have been President for Life if he wanted. This wisdom helped guide the Country into an era of relative stability, one that would last until the Civil War in 1861. In the midst of a Presidential Primary, we should remember that the office of the President was created for Washington himself. What we as Americans define as a qualities indicative of the Presidency are, in fact, directly traced to Washington and his conduct in the office. 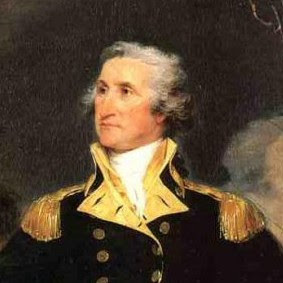 Therefore, in conclusion, I think we can all proudly say "Happy Birthday, George Washington".